Investment in the drone sector is growing significantly each year. We are seeing investment funds, big technology firms and wealthy individuals investing in the drone sector. This big money is moving into the most innovative companies in the drone sector. Below, I detail Yuneec, 3DR, Ehang and DJI with their total investment to date. 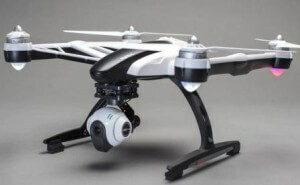 DJI is the largest consumer drone manufacturer and it is already valued at $8 to $10 billion. For 2015, DJI sales were over $1 billion, all within a few years. There are many more to come. Most of these companies started from the garage or kitchen table and have grown pretty rapidly. Consumer drone sales in 2015 reached $1.5 billion. By 2020, this is set to increase to $4 billion. That’s just the consumer market. Add to this the commercial drone sector and the periphery hardware and we have one very large market. This year, 2015 is shaping up to be a breakout year for drone investment, as drone startups have already raised $172 million in equity financing this year – more than the previous three years combined. Innovation in this sector is already at a fast pace. With this new money flowing into the UAV sector, innovation is going to snowball. It’s not just the UAV technology which will benefit. There is also massive innovation in the closely related UAV fields such as gimbals, cameras and sensors (lidar, ultrasonic, thermal etc). This also includes software development to harness the power of much improved hardware. Drones are being used to create 3D maps of land areas for many sectors. Also 3D models of buildings, bridges and many other structures is becoming very useful. The software required to create these 3D maps from photos has moved along at a lightening pace. You can read further on the top photogrammetry packages here which are changing this drone sector dramatically giving so many new uses fro drones. We will also see many new concepts where drones can be used. New areas never dreamed or imagined before. We are already seeing these new concepts with some terrific uses for drones in Search and Rescue, Collision Avoidance Systems, Traffic Control, Precision Farming, Archaeology, Conservation and Environmental works. Lets take a quick look at some of the big benefactors of these drone investments. Intel have invested $60 million into Hong Kong drone maker Yuneec International through its venture funding arm Intel Capital. The news was announced by Intel CEO Brian Krzanich and Yuneec CEO Tian Yu in a joint Intel-Yuneec video “partially shot” by a drone, according to Intel Capital’s press release. “We believe drones have the potential to positively change lives in many ways, whether that’s delivering consumer goods or inspecting disaster sites. And with the coming addition of Intel technology inside, Yuneec’s smart drones can create amazing possibilities,” Intel chief executive Brian Krzanich in a statement. 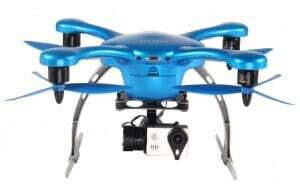 Yuneec manufacture the very popular high spec ready to fly Typhoon Q500 drone with 4k camera. Their latest drone is the Typhoon H which includes collision avoidance systems. While Yuneec have received this massive investment in their drone company, they have been around for quite a while. Founded in 1999, Yuneec is the world leader in electric aviation. With hundreds of patents, Yuneec’s core technologies power manned aircraft across the globe with the UAV sector also benefiting from the years of knowledge, research and development. Here the CEO of Intel discussing the big investment. In 2012 which is a long time ago in this fast paced drone sector, 3DR received an investment of $5 million. They were one of the first drone companies to receive significant investment. 3DR total drone investments to date stands at $99 million. 3DR’s latest drone is the magnificent Solo which was specifically designed for the GoPro Hero action cameras. The Solo drone is pretty adaptable and we are seeing third party thermal and multispectral sensors fitting its underside. Lets take a quick look at where this drone investment came from. The US largest personal drone manufacturer, 3DR raised $50 million on Wednesday led by Qualcomm Ventures. A valuation was not disclosed. The round was the largest amount raised by any U.S.-based consumer drone company to date. The company intends to use the funds to expand its product development in both its hardware and software products. 3DR will also work with Qualcomm to utilize the company’s Snapdragon processors. “The incredible pace of innovation in the smartphone industry is transforming many adjacent industries, including drones. By working with Qualcomm Technologies, Inc., we can bring advanced computing to the skies at an increasing pace” said 3DR co-founder and former Wired Magazine editor, Chris Anderson in a statement. A financial document filed with the Securities and Exchange Commission on Wednesday, showed that the company was only looking to raise $40 million in the round. According to the document, it had sold just over $32 million worth of shares. It’s unclear how 3DR exceeded the $40 million it originally expected to raise. A company spokesperson has not said how they exceeded their original funding expectation. 3DR, North America’s largest manufacturer of consumer drones and founder of the world’s leading open drone software platform, today announced an expansion of its Series C round of financing from $50 million to $64 million raised. The additional funding is led by WestSummit Capital, with additional global investors from Asia, Europe and the U.S. participating, including SanDisk Ventures and Atlantic Bridge Ventures. 3DR initiated the Series C financing with $50 million in investment led by Qualcomm Ventures, with Foundry Group, True Ventures, OATV, Mayfield, Shea Ventures. 3DR will leverage the expertise and market knowledge from a diverse investor base to lead innovation in the dynamic and rapidly expanding global UAV market. “We’re active investors in the Internet of Things market and see huge promise in 3DR as a leader in next-generation robotics,” said David Lam, Managing Director of WestSummit Capital. “IoT is a truly international market where software meets hardware and East meets West, and 3DR has developed an incredibly advanced and globally adopted drone software and hardware platform. 3DR announced earlier today that it locked up a $30 million Series B round, with a list of participants that includes Foundry Group, True Ventures, O’Reilly AlphaTech Ventures, and SK Ventures. The company previously closed a $5 million round in December 2012. This round of funding was led by Jon Callaghan at True Ventures and Bryce Roberts of O’Reilly AlphaTech Ventures. Here’s a beautiful 3D Robotics drone view of Richard Branson’s home on Necker Island. Just WOW. Drone startup EHANG receive a $42 million Series B investment to develop its technology and launch new products. Led by GP Capital, the round also included participation from returning investors GGV Capital, ZhenFund, and PreAngel, as well as Lebox Capital and OFC. EHANG, the maker of app-controlled Ghost drone for consumer and industrial users, raised a Series A of $10 million in December. The company plans to launch its next generation of drones this year and says its newest capital will be used to develop new products and expand its app ecosystem. To support its growth plans, EHANG, which has offices in Guangzhou, Beijing, Shanghai, and San Francisco, recently filled four executive positions. Shang-wen Hsiao, the former president and chief financial officer of 21Vianet, a data services company, is now EHANG’s CFO and co-founder. Wei Qi, previously the vice president of Lenovo Group, was appointed EHANG’s senior vice president of operations and co-founder; Microsoft China former sales director of corporate and channel department Yijun Wang is its new vice president of sales; and Richard Liu, former vice president of finance at 21Vianet, now holds the same title at the drone startup. EHANG wants to differentiate by making its drones as easy to fly as possible. Ghost automatically follows users around or changes direction when they tilt their smartphones. Since its Series A nine months ago, EHANG has more than doubled its employees to 150 and now sells Ghost in 70 countries. It hopes to build a stronger foothold in the U.S. by partnering with Hobbico, one of the country’s largest airplane model distributors. While EHANG is headquartered in China, Hu says its international user base will help it weather recent market turmoil. The biggest company in the consumer drone market wants to become a platform for the entire industry. The company behind the most popular consumer drone in the world announced this morning that it was raising $75 million in funding from Accel Partners, an investor in companies like Facebook and Dropbox. “Accel’s experience backing some of the world’s most iconic technology companies as they built communities around their products will be useful for us as we expand as a platform for innovation,” said DJI founder and CEO Frank Wang. Accel put in money at roughly an $8 billion valuation, and DJI is in further investment talks which value the company around $10 billion, according to a source familiar with the negotiations. DJI is on pace to double its sales this year, generating around $1 billion in revenue. “DJI is kicking everybody’s behind,” said Bilal Zuberi, a tech investor who has backed drone makers like CyPhy Works. 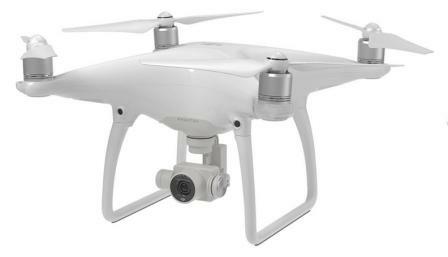 “They are the Apple of the space.” DJI isn’t just taking the lion’s share of the profits. It also resembles Apple in that it offers an attractive and easy-to-use gadget that is difficult to modify when compared to more open and modular systems developed by competitors. DJI had been a vertical company making drones for aerial photography and video, but the company hopes to use this funding to change that. “We aspire for DJI to offer a platform for unbounded creativity and exploration across areas as diverse as film making, agriculture, conservation, search and rescue, energy infrastructure, mapping, and more,” said Wang. DJI says venture firm Sequoia Capital already is an investor. 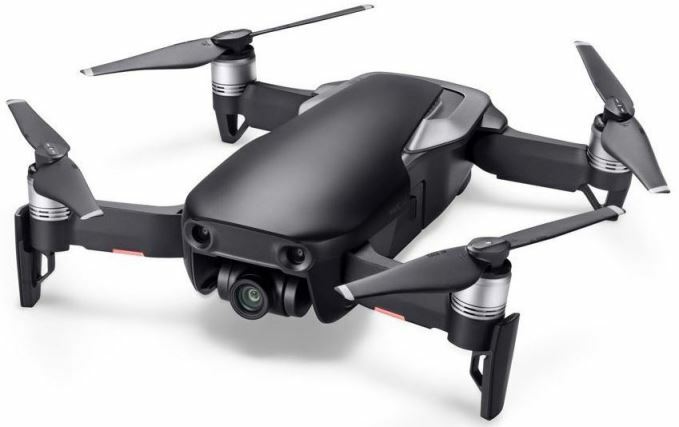 Their latest drone models include the fold up Mavic Pro, the extraordinary high tech Phantom 4 Pro with many intelligent flight modes and obstacle avoidance, Matrice 100 SDK drone and the Inspire 2 for professional cinematography. Intel is investing and positioning itself at the forefront of the opportunities coming available in the drone sector. Intel is looking to increasingly integrate the computing, communications, sensor and cloud technologies to make drones smarter and more connected. On January 4th 2016, Intel signed a definitive agreement, subject to customary closing conditions, to acquire Ascending Technologies, a drone company located in Krailing, Germany, with best-in-class drone auto-pilot software and algorithms. Ascending Technologies’ sense-and-avoid algorithms with Intel™ RealSense® technology’s real-time depth-sensing capability can, among other things, improve drone safety – helping them avoid obstacles and collisions. Watch as this AscTec Firefly drone, with an onboard Intel RealSense 3D camera, navigate through a heavily wooded forest. Incredible technology.